Sao Paulo: Brazil's new president, Jair Bolsonaro, underwent surgery Monday to successfully remove a colostomy bag attached after suffering a serious abdominal wound in a knife attack while campaigning last year, his office said. The leader, who took office at the beginning of January, will have two days of absolute rest then resume his duties from his hospital ward in Sao Paulo until he more fully recovers, something expected to take between a week and 10 days. 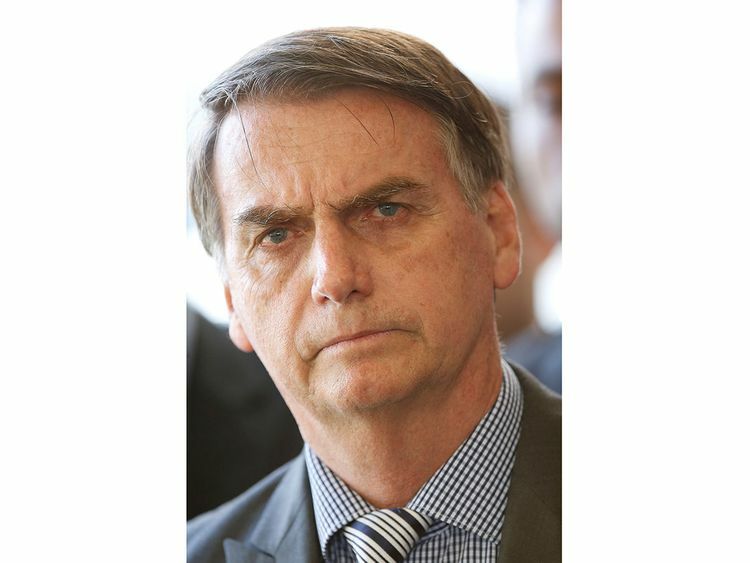 Bolsonaro, 63, was stabbed by a mentally unstable lone assailant on September 6 while he was campaigning in a crowd in a street in the southeast state of Minas Gerais. After emergency surgery to save his life, the far-right politician was forced to lay up for 23 days - but still saw his popularity rise because of public sympathy and the way the attack played into his hardline law-and-order agenda. Bolsonaro went on to easily win October elections. He has vowed to crack down on crime and corruption in Latin America's biggest country. The president made his first foreign trip to attend last week's World Economic Forum in Davos, Switzerland with his colostomy bag still attached. Late Sunday he issued a video on social media from the hospital, wearing a blue hospital gown and saying: "If God wills it, all will go well. Thanks to all for your prayers." For Bolsonaro's two days of rest, Brazil's Vice President Hamilton Mourao will serve as acting president before handing responsibilities back to his boss. Ministers will fly in from the capital Brasilia as needed. "A whole structure has been set up in Sao Paulo to ensure effective governance," said presidential spokesman Otavio Santana do Rego Barros.